Get yourself fabulous Christmas present: play on NetBet Casino and win the iconic Italian scooter worth over $7.000! Christmas is adding green and white to its traditional red this year at NetBet Casino, as the online room launched a brand new promotion with a Piaggio Vespa GTS 125cc waiting for the luckiest of all players. Running through December 2013 and January 2014, the initiative is accessible both to new and long time NetBet players and is playable using some special scratch cards the online casino will give away daily to all those players completing a deposit to their account. All you have to do to get your chance of sitting on a brand new Vespa is then to make a deposit on your NetBet account, wait for your scratch card to be delivered and move your mouse over it for discovering the symbols it hides. 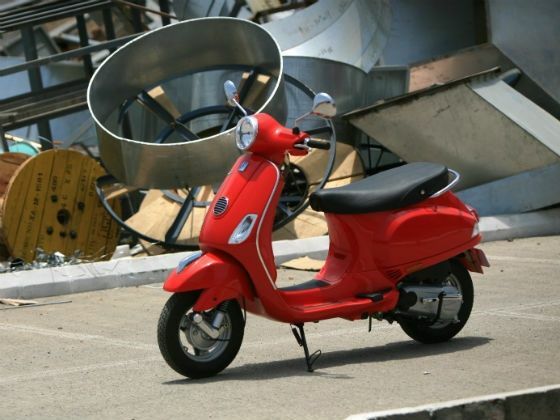 Find three matching symbols different from three Vespa scooters and you will see your deposit growing of a good +75% thanks to an additional roofed at £50. Get only two matching symbols and the bonus will be a +50% one. Don’t find any matching symbol on your card and NetBet will anyway give you a +20% of your deposit because, after all, we all deserve a nice Christmas present at some point. Yet, things change if you manage to get one of the lucky cards with three matching Vespas, as those are the ones that will be giving you a special match bonus and at the same time will be gathered for the Vespa drawing scheduled for February 1st, when one of the tickets will be randomly draw to assign the hip-scooter to its lucky owner. NetBet Vespa promotion does not come with any particular requirement other than a deposit, however is it is worth being mentioned that the room included a 30x-wagering requirement for requesting withdrawals on online slots and other different casino games eligible for bonuses. To participate to the special drawing and profit of one of the best bonus offers of the month, head to NetBet Casino and start playing one of the hundreds of great games offered by the room. Bonus info: terms and conditions apply to the offer. If something isn't clear, have a look at our review of NetBet Casino for the T&Cs in full. The offer on this article might have expired by the time you read it. Please refer to the review pages for the latest bonuses and promotions available.